The Hyper Japan Christmas Market is incoming, 25-27 November to be precise, and as it's stuffed full of cool Japanese tech, toys, produce and more, T3 is going to be in attendance. We'll be bringing a piece about our coolest finds to T3.com after the event, however if you too fancy getting your Rurouni Kenshin on, then you may want to check out some of the cool stuff that will be at the show this year. Eat-Japan - For another year the ultimate Japanese food court will be in attendance, with an awesome selection of Japanese street food on offer. Sushi, sashimi, wagashi, sukiyaki with sosharu and much more will be available. In terms of drinking, saké, tea and a variety of other unique Japanese beverages there will be plenty. Shopping - Unique Japanese crafts items such as kimonos, samurai swords and lacquer hair accessories are just the start in terms of shopping opportunities, with games, anime, manga, collectibles, books and more sold at the market. Hyper Creative Studio - Now this is very cool. This studio allows you to go hand s-on in a series of Japanese themed workshops. These workshops include Ikebana flower arrangement, Kitsune mask painting, Kokeshi doll making and a Macaron construction class among many others. Culture - Various introductions to Japanese culture are also at Hyper Japan. A fully realised Izakaya area can be visited for a sit down drink or meal, while performances of traditional Japanese music and singing can be listened to. Avant-garde technology is also on display (when we're not drinking saké this is where T3 will be hanging out), while Japanese travel experts can talk to you about the country. Entertainment - This year a huge variety of shows and acts are taking place at the Hyper Japan Christmas Market including cosplay, art tables, family activity stages, dance routines and more. So if you need a break from all the shopping, culture, eating and drinking, then you can take a Japanese-themed break. 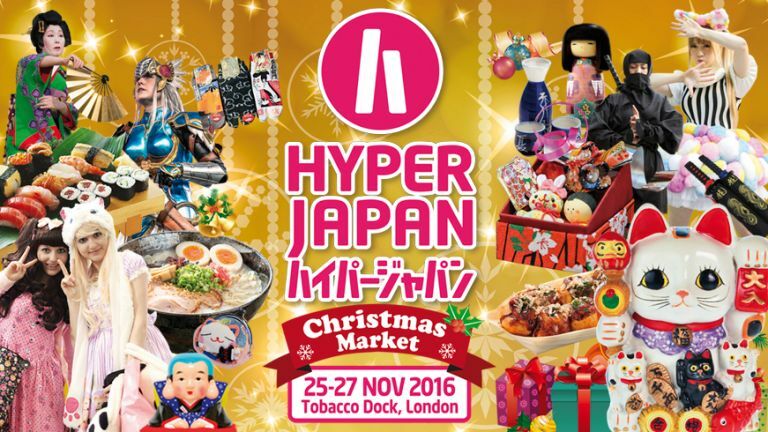 For more information about the Hyper Japan Christmas Market, which takes place at Tobacco Dock, London, between 25-27 November, then check out the show's official website.